Excellent news that a modicum of common sense has penetrated the LOCOG collective mind (‘resistance is futile…’). Let’s just hope that the message is actually conveyed to the ‘Games Makers’ (I read the words but my brain produces ‘Rain Makers’ every time). I intend to head over to Church Street on Thursday morning with a print out of this post just to ‘spread the word’ among the big-pink-fingered Rain Makers. The barriers were still there late last night. It looked like an F1 track! LOCOG mention safety for pedestrians but the fact is that there are not many cars circulating around Greenwich anyway. Why? Because they put up an enormous illuminated sign weeks ago saying ‘Avoid this area during the Olympic events’. For several hours every day Greenwich feels like a ghost town. 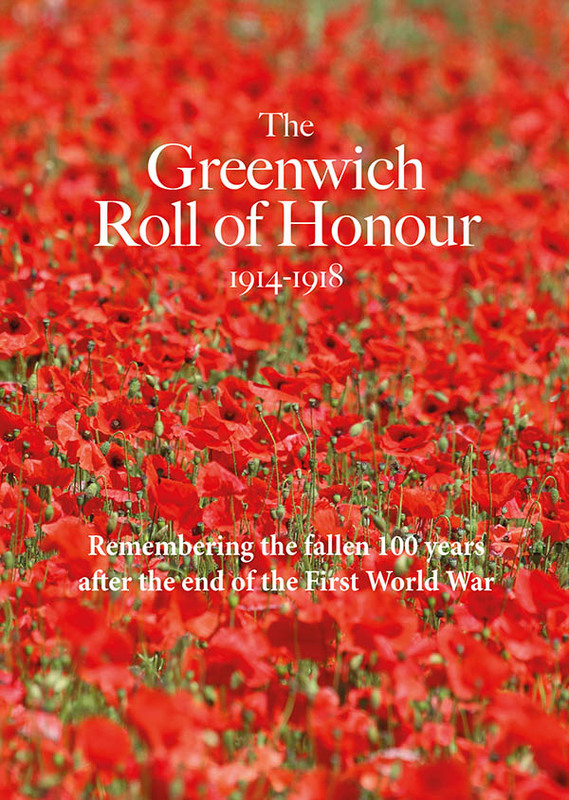 Are Greenwich council mad ? we are having to come into work at 3.00am to take in deliveries to accommodate the Olympic games traffic regulations, now we have parking attendants coming round issuing parking fines in a road that we have permits for, and have parked on for the last eight years without seeing a traffic warden. we employ Greenwich residents who cannot get to work as public transport is not running at this time in the morning are the council intent on driving local firms to the wall,what with Greenwich town center looking like a no go scene and the businesses suffering the last thing we need is the council profiteering against resident companies wake up Greenwich. You will need business rates long after the euphoria of the Olympics has passed. So, it’s Friday, 7o’clock pm and the barriers are still up in College Approach. In fact, they’ve added new ones. So much for that. I understand taking down the barriers where no traffic is allowed in the road (Greenwich Church Street). Surely no one was advocating anything as dangerous as removing the barriers in College approach. A bit of common sense please one lane of that road has traffic in it. If Joe Tourist wants to drift into the market before or after the event surely they’d be better served waiting for 50 feet and not risking life and limb to do so. The barrier is there for a reason! Not being funny, but Greenwich is often heaving with tourists, and hundreds and thousands of them have managed to cross the road to the market without stepping under the wheels of passing traffic. Are you suggesting that the Olympic tourists are particularily thick? Or, upon reflection, are you suggesting that the barriers should be left in College Approach after the Olympics to keep ‘Jo Tourist’ from risking life and limb for all time? I have been watching from my window in College Approach and think the barriers are not necessary. Let’s not forget the students during term time.. on occasion they may well need a barrier to stop them falling into the road whilst under the influence! I havnt seen an Olympic attendee under the influence at 10am.. Joking aside, I have been looking forward to the Olympics with both trepidation and excitement.. In my small way I have contibuted not only as a tax payer but also with my enthusiasm and acceptance of all the inconveniences. I want to encourage those young sportsmen and women who have given their all. I also want to be a part of it as a resident and business owner here in the heart of Greenwich. However, organisers of the events have left me feeling excluded for the sake of big corporations and their demands. Thank you for your common sense and clarity. I’m suggesting that large crowds and traffic don’t mix, given that all the crowds using College Approach also turn the corner and walk up Greenwich Church Street I can see no justification to remove the barriers in College Approach. I walk in Greenwich ever day and there’s a massive difference between the crowds we are seeing at present and the students that we see all year round, you’re not trying to tell me that there are 20,000 students leaving ORNC at the same time are you. I have no objection to people making a fast buck off of the Olympics I just think that risk needs to be managed and that’s what the barriers are doing. It is obvious to me that the barriers are not necessary.. let us beg to differ. I am not bemoaning the Olympics and as a long-standing business owner I am not here to make a fast buck off the back of this wonderful event. It is more about survival in the ongoing current climate and I will not lay the blame solely at the door of LOCOG. I attended several consultations over many months prior to the events and established business owners were assured that they would not be sidelined. I have noted that there have been street traders from outside the area selling ‘souvenirs’. They do not pay rent or rates…. they are the ones ‘making a buck off the back of the Olympics’. Darren, you really, really don’t understand the situation very well, or you would not make such insensitive comments. Every trader and shop-owner I know is fighting for survival. No-one I know has made many bucks at all, never mind ‘fast bucks’. Our trade has been greatly down on normal, for the run-up weeks before the Games when Greenwich Park was closed and especially, during the Olympics themselves. It has been very widely noted that tourism is down this year, which is another major factor. And the economic situation is of course another. On a personal level I have really been inspired by the Games, but on a business level the fact is that it has been pretty much a disaster. Well said Ruthie… seems we’re all in this together! Which is your business? Am I being over sensitive in finding Darren’s ‘fast buck’ comment particularly insulting? Many traders and local businesses are now ruined with takings 50% down during the Olympics. The barriers completely changed the look and feel of Greenwich town centre, they were not necessary as the pavements could have coped! We all had to make sacrifices but the scale of this imposition was staggering. I hope the street entertainers attracting people in to the market from the Olympic spectator route are being paid for by the market bosses / market traders and not by the council / taxpayers. Rest assured John, the entertainers were paid for by the market management. The council never does anything for the Greenwich Market traders if they can help it. Their contribution to the market (which they proclaim to be one of the important attractions of Greenwich — which it is) is to arrange competing markets and attractions as often as possible, as near to the market as possible; and to make sure the Greenwich Market traders are continually harassed and booked by traffic wardens as they try to load their vans in the evenings, using the very inadequate loading bays. Hi Ruthie – just out of interest, did the market management tell you that? I’ve been told that the council have arranged for the street entertainment in Greenwich Church Street. I’ll check with both parties to find out for sure. Hi Rob, I was told personally by one of the market Managers that he had arranged various acts (which he listed) to try to attract attention to the market. we should all be standing up for market traders – they’re the people who give Greenwich much of its soul and, as we’ve seen, they get little support from the council – and they also have to suffer from the active opposition of our local MP, who banks tens of thousands every year from the building industry, hence campaigned to have a hotel built in the indoor market, and was happy to see the disappearance of Stockwell Street market. Traders have already observed that, with less choice on offer, fewer tourists visit the market. It’s likely to get worse, and that’s bad for the Greenwich I know and love. Think we need another blog regarding Greenwich Time. Karin, don’t get me started! This could turn into a full-time career. Come to think of it…. I am pretty sure the journalist who wrote that article searched far and wide to find some happy shopkeepers. It just doesn’t reflect the truth of most people I speak to; it certainly doesn’t reflect the experience of our business. By the way, this matter of ‘the barriers coming down’ is a case of the Emperors’ New Clothes to me — what are those orange and white things in College Approach? And in Creek Road? And Greenwich High Road? And, does anyone know when they’re being taken down? The issue of why so many businesses are doing badly is not just down to barriers or no barriers. The exodus of many locals and ‘London tourists’ is a big factor; also, as someone suggested earlier, the Olympic visitors seem to be more ‘Lookers’ than ‘Buyers’. It is similar when the Marathon is on; lots of people not buying anything.